In order to test the new GRAHAM GP Time Zone, the boys at GRAHAM decided on the most practical and challenging of trials to put their two new watches through their paces. 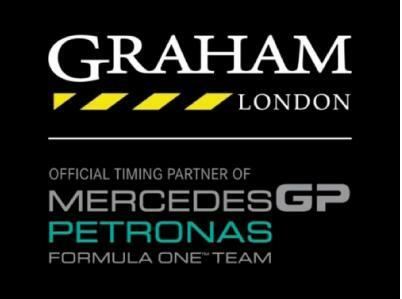 They took the challenge right to the race crew of the Mercedes GP Petronas Formula 1 race team, whom they sponsor around the world. The team is on the move every two weeks travelling the globe to prepare their high performance race cars for the next gruelling circuit. Each Grand Prix is a tough logistical challenge. Communication with the venue where the next Grand Prix will be held and with the factory in the UK is vital. In these conditions, GRAHAM figured, what could be more useful to the team than a GMT watch with simultaneous reading of a second time zone? The Mercedes GP Petronas Formula One Team are already at the race track for the practice sessions. Dry and warm conditions. It’s their first opportunity to experience the new developments on the car in race conditions. Lap after lap, times appear on the screens. The date on their watch shows two days left before the race; a short time to take strategic decisions. Everyone looks confident, yet very concentrated. At the Mercedes GP Petronas headquarters in Brackley, UK, it is early morning. The support team is already on duty. They follow the performance of the two cars on the race track on the other side of the world, analysing the results. 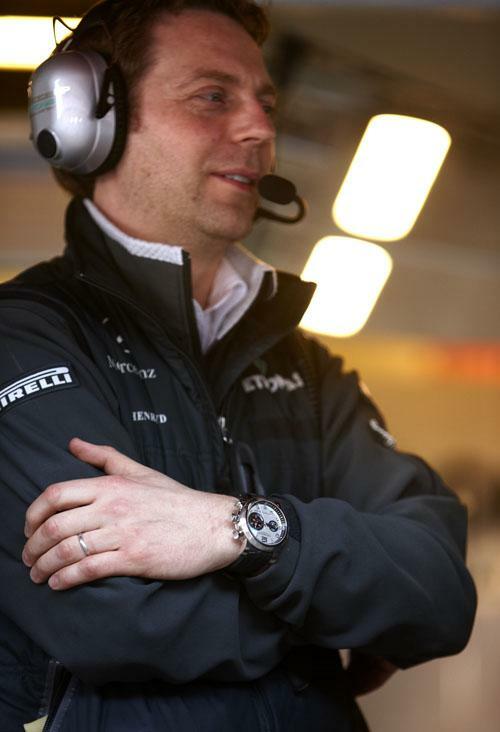 They continue to work on the next developments to ensure that the car can gain a couple of tenths of a second. At the next circuit, a member of the team has arrived early to check out the new venue and track. 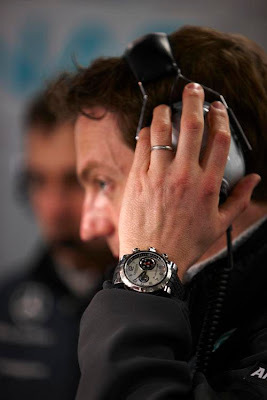 A quick look at his watch and the bold GMT hand on the Mercedes GP Time Zone indicates that it is time to call the factory for the debrief. The two drivers are ready. The cars leave the garage and hit the track. The team behind them is focussed on performance and victory. The organisation of each Grand Prix is a precise science. The Mercedes GP Time Zone acts as a universal link between the members of the team in different locations on different continents. Its design also unites everybody under the team livery. 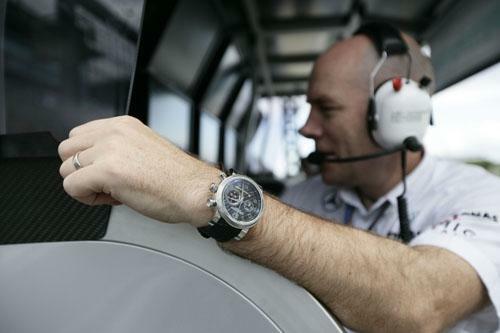 The “Clous de Paris” decorated watch perfectly blends into the tough Formula One environment. The 42mm time instrument fits on all wrists and is worn by male and female team members alike. The tyre tread rubber strap is much appreciated, lending the watch an energetic and confident dimension. 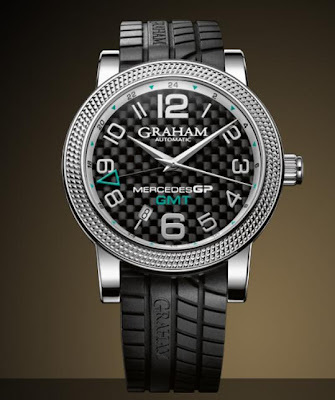 GRAHAM-LONDON can trace its origins to legendary London clockmaker George Graham (1673 – 1751). 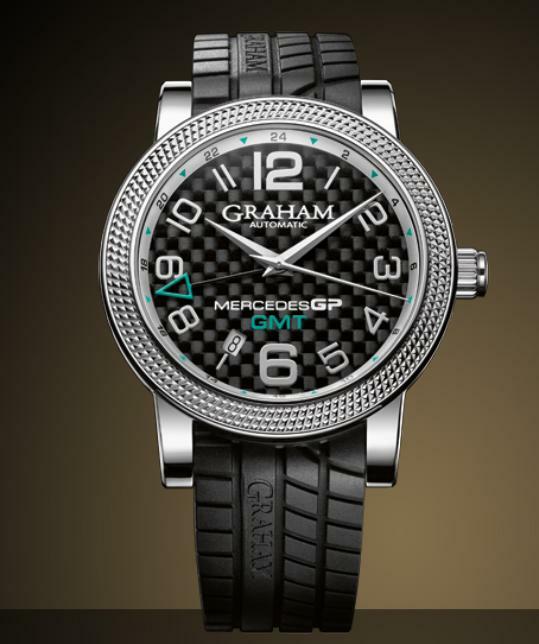 Graham was responsible for many innovations in timekeeping. He invented cylinder escapement, the mercury pendulum to compensate for temperature differentials, and built the master clock for Greenwich Royal Observatory which defined time for most of the 18th century. 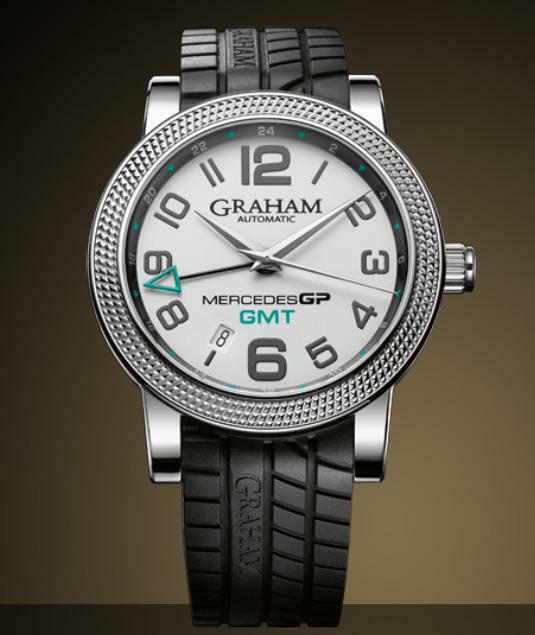 GRAHAM-LONDON was resurrected in 1995 and is today a Swiss watch company which designs and builds its own watches in Switzerland.